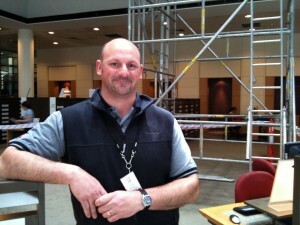 The Library will be conducting maintenance work in the Newspaper Reading Room from Monday 8 – Friday 12 November. The room will remain open during this time. The Library will be closed Tuesday 2 November, however you will still be able to access resources and place orders for books and other materials via our website. The Minister for Slovenes Abroad, Dr Bostjan Zeks, talks about the Iconotheca Valvasoriana and its significance as a collection. Last night, Minister for Slovenes Abroad Dr Bostjan Zeks presented the Australian nation with a valuable gift from the people of Slovenia. The Library has just introduced a new service which offers a greater range of options for copying, scanning and printing information. The Library has launched a new website that tells the story of the ill-fated Burke and Wills expedition. Ned Kelly’s armour has been lent to Beechworth for the annual Ned Kelly Weekend and will not be on exhibition at the State Library between Tuesday 3 – Wednesday 11 August 2010. 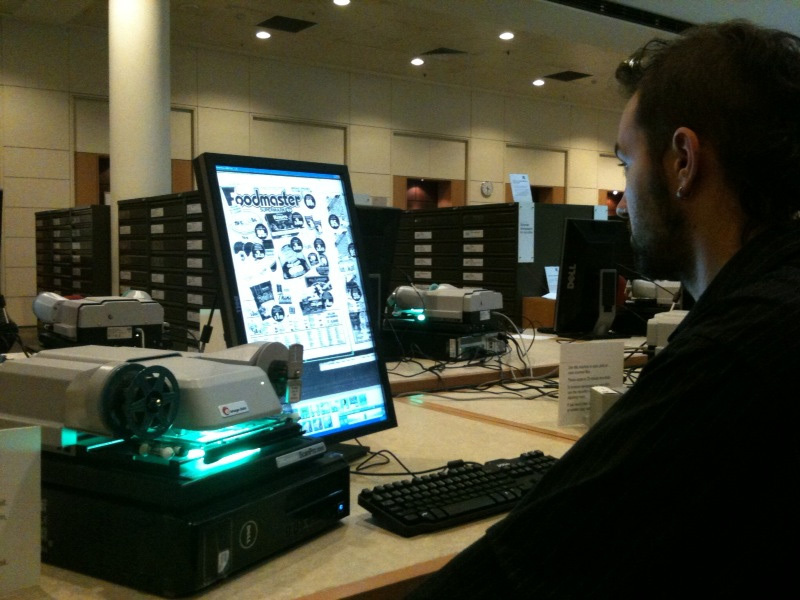 The Library has installed ten new state-of-the-art microfilm readers and they are already a hit with newspaper researchers. On Friday 6 August the Kelly gang will have a reunion of sorts as all four sets of armour go on display in Beechworth as part of the annual Ned Kelly Weekend. 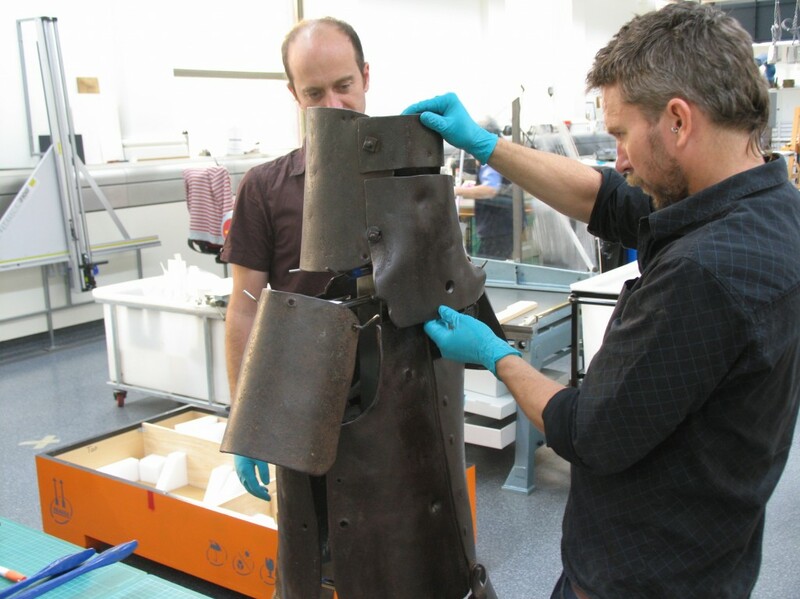 Our conservation and registration team has been working to ensure Ned’s armour reaches Beechworth safe-and-sound, though not necessarily in one piece.